Interesting, particularly when you consider the fact we guys have installed more battery backup storage systems than anyone else in West Virginia. But this did get me to take the time to really investigate the issues. Over several days I consulted with technical folks at SolarEdge, LG Batteries, and a customer support engineer at a leading solar distributor, who specializes in battery systems. What follows are the facts as I understand them. I try to stay with the facts as best I can. There will also be some opinions, but those will be obvious. The system we’re talking about is the StorEdge system from SolarEdge. Currently, the only battery- capable SolarEdge inverter model is their 7600-watt model. This is basically the popular SolarEdge 7600 inverter with additional firmware, electronics and a transfer switch to allow it to interact with the battery system and a critical loads panel when the grid goes down. The StorEdge system is designed to primarily work in one of two modes: The self-consumption mode, when the batteries engage on a regular basis to offset the need to buy from the utility. The system will also switch to backup mode when the grid is lost and a critical loads panel will be energized. Areas that don’t allow net metering (such as Hawaii and certain US co-ops). Solar power produced in excess to current loads is stored in batteries to be used later – at night, for example. Areas with varied Time of Use rates. In this case, the system can be configured to supplement from the solar array’s production with battery input during certain time slots to avoid having to buy from the utility at the highest rate. It’s very important to note that those two scenarios do not apply to our area, as long as we have one-for-one net metering. With net metering, this self-consumption capability is not a good choice for anyone. There are much better alternatives, like letting the grid store your excess PV production. The other configuration is a straight backup configuration. In this case the batteries will engage only when the grid is lost. Then, an electronic transfer switch is engaged and the batteries energize the critical loads panel. Limited scalability (You’re restricted to the minimum and maximum solar array values that the 7600 inverter supports.) For larger arrays, you need a second inverter, which will not be part of the battery-based capability, by the way. This chart compares a StorEdge system with the LG battery to a Schneider XW5548 system with a 490 AH AGM battery bank. The XW5548 is their smallest model; we often install the XW6848 model, which is much more robust. The data points are taken directly from the companies’ published datasheets. The XW5548 is capable of surging to 7000 watts for up to 30 minutes at 25º C ambient temperature. $1000 more for the StorEdge 7600 (versus a basic 7600 SolarEdge). 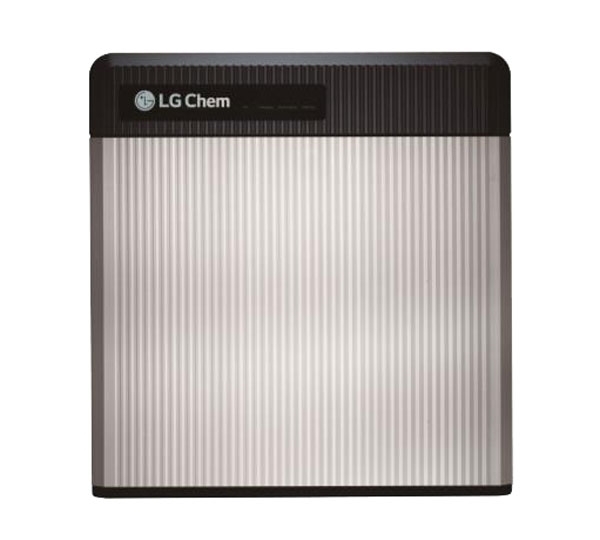 The cost of a step-down transformer to bring the LG battery’s high voltage down to a useable level. For purchasing and installing miscellaneous electronics and hardware. Miscellaneous electrical and hardware items and their installation. During the tech boom in the years 2000-2002 I saw a lot of this. It’s the difference between leading edge and bleeding edge, the difference between deploying solid technologies and chasing evolving technologies. Over my more than 30 years in the tech business, and especially during almost 10 years at Cisco Systems, we did a lot of leading edge, early field trial stuff, but always in a very controlled environment. As a the owner of a small solar installation company I’m very sure our customers don’t want to put a lifetime of savings at risk just to have the newest widget, and I have no interest in asking them to. I will not be recommending any new technology before it’s been proven in the field over a considerable period of time. As for why some solar companies are pushing this particular system, I don’t know. You’ll have to ask them.